To some degree, it was Susan’s great-grandmother, Sarah Fowler, who paved the way for her by becoming an “herbalist-by-necessity” as the cook and only female on a railroad crew in the 1860’s, which was her best option to get out West on her own—respectably. Great-grandma Fowler is a perfect example of everyone’s ability to be an herbalist using effective, well-known local plants to care for those around them, as people have done for centuries. Prior to becoming an herbalist, Susan worked in the corporate world for 20 years, most recently as Director of Marketing for an Internet start-up company in the mid-1990’s. Giving up 60-hour work weeks in order to focus on being a more effective single parent, Susan decided to pursue her passion to make health and healing simpler. Susan earned her Master Herbalist certification from The Artemis Institute in Boulder, CO in 1996 and opened her own practice shortly thereafter. While her original intentions were to start an herb store, she found that she enjoyed interacting with clients and wanted to be able to establish a deeper connection. This revelation led her to open her own herbal practice in 1996 to work directly with clients as a supportive health coach to help each client take back their body—and their health care decisions. Susan attributes much of her learning to her valued clients who have partnered with her to both prevent and heal countless health challenges (read testimonials from Susan's clients). She maintains her own herbal dispensary of approximately 180 herbs, providing custom blends of both Chinese and Western plants to previous clients. 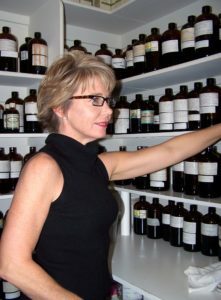 Susan is a member of the Herb Research Foundation, the American Herbalist’ Guild and the Weston Price Foundation. 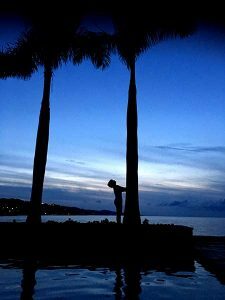 Check out Susan's videos on YouTube and sign up for her Blog for a short, sometimes irreverent version of her occasional newsletter--with a pic or two. You will also find her sharing fun tips with her students during her Essentrics and Yoga classes. Susan occasionally conducts Herbal Medicine classes in Steamboat Springs and other locations but is highly selective. Email now@susanemead.com for further information and thank you for your interest in health and healing!